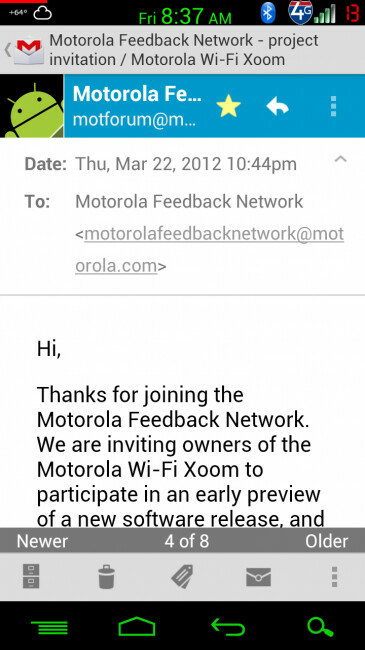 If you have a Motorola XOOM Wi-Fi, Motorola would like you to participate in a soak test. This beta test would allow you to check out the next software update before everyone else, just to make sure that everything is running fine after the software is installed. 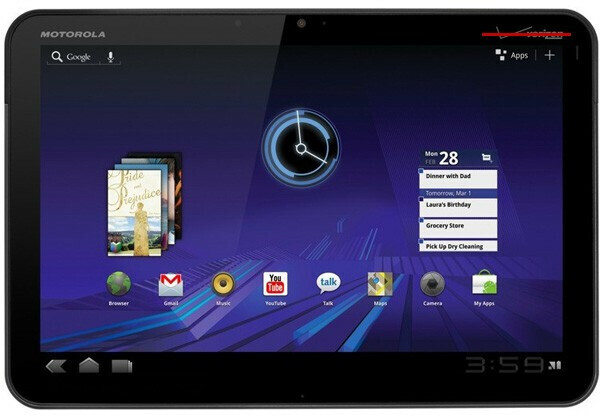 Because the tablet already received the Ice Cream Sandwich update this past January, we could be looking at Android 4.04 or Android 4.05. Don't expect more than just a few bug fixes and some enhancements here and there. 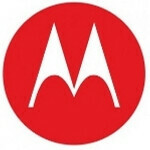 Motorola has sent out an email to those it is asking to join. You do have to be a member of the Motorola Feedback Network to receive these requests. And your reward is just that feeling that you did something good for mankind. Ahh feels good to be a xoom owner. Timely updates and ICS before all these other tablets.